SEMA IS THE MECCA FOR ALL THINGS AUTOMOTIVE. It serves as a grand unveiling for new project builds and reveals of fresh products released to the marketplace. The innovation on display at the big show in Las Vegas is amazing to say the least, and while there is hardly room in this issue to report on all the new wares and gadgets that were showcased during the week-long event, we’ve sifted through the piles of goods and bring to you some of our favorites that are guaranteed to impact the scene in 2019 and beyond. From suspension components to parts to upgrade interiors and exteriors alike, as well as performance products, there were tons of new goods that captured our attention at SEMA ’18. It’ll be exciting to see these parts roll out into new truck builds over the winter and into next show season. Until then, start making a checklist of what you’ll need for your build. We guarantee that your truck will benefit greatly with any of these new products from the best manufacturers in the industry. From late model to classic pickups, you’ll find what you need to make your truck its absolute best this year. 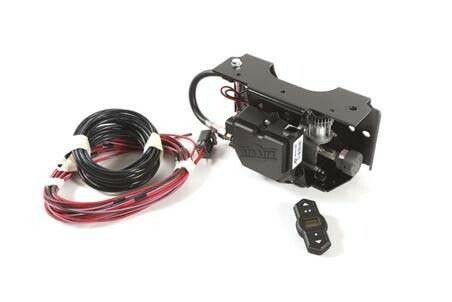 This package of air suspension parts is perfect for your tow pig, as Air Lift’s Wireless One compressor and manifold quickly and easily helps the rear air bag setup retain ideal inflation while carrying heavier loads. The manifold can be controlled wirelessly via a smart phone app, which makes running wires or airlines to the cab completely unnecessary. The EZ Mount allows for simple mounting of the system to the truck’s frame, making this an idea setup if you’re looking to speed up the installation process. Increasing the ride quality of your trusty workhorse doesn’t get easier than this. 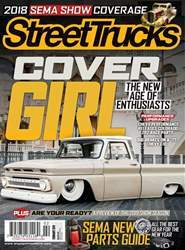 Builders who plan to drive their truck on the track will rejoice after seeing QA1’s new MOD Series shock. 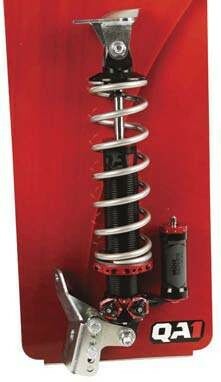 It’s the first shock that has the ability to be revalved in minutes while it’s still mounted on the truck. With the use of QA1’s QuickTune technology, modular valve packs can be swapped out quickly and easily without interrupting the oil path or exposing the shock to debris and air contamination. The MOD Series shock also features a double adjustable design with varying low-speed bleed for fully independent control over compression and rebound characteristics. 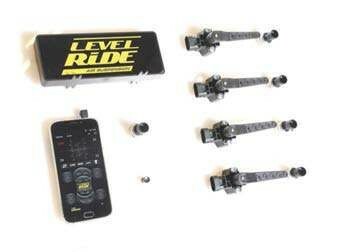 Level Ride’s pneumatic ride control features height and pressure monitoring for a perfect ride every time. This system features a terrain sensing function, which height-only systems cannot detect, and is why they can be unstable at times. Level Ride’s system also has builtin brake sensing monitoring to prevent any unwanted adjustments when stopped or at braking. Experience ride height accuracy within 1 percent of saved height levels.